Willis CNC lathes are designed and constructed from the latest technology and built with the highest quality materials and components. Our CNC lathes for sale have spindles supported by preloaded, high precision bearings that ensure Willis CNC lathes maintain consistent and accurate turning throughout the entire speed range. 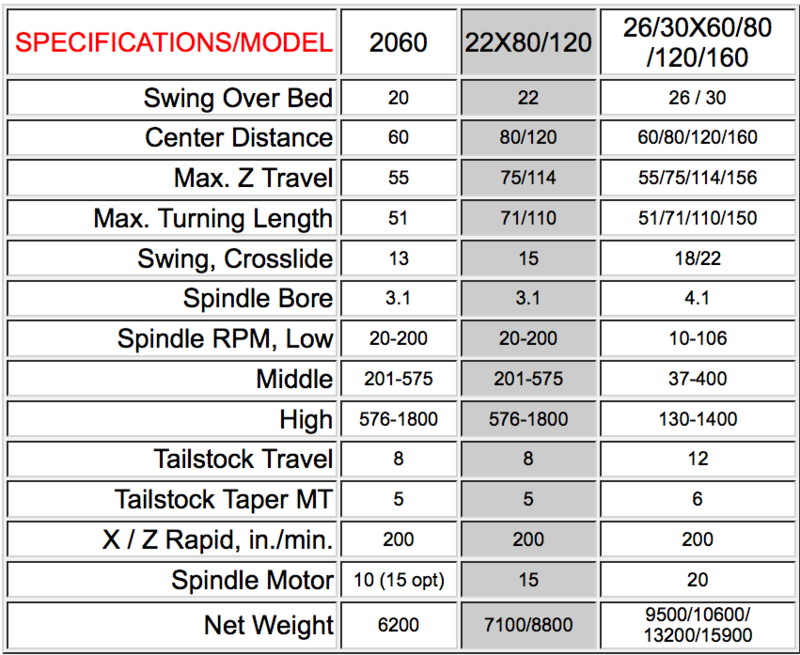 Willis Machinery’s CNC lathes' rigid bed construction, hardened to over 50Rc and precision ground, provides for heavy turning with high accuracy. These metalworking lathes for sale have a spindle, shaft, and gears made from alloy steel that are hardened and ground to allow these CNC lathes to execute higher turning speeds at lower sound levels. 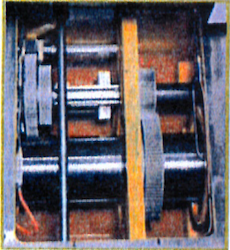 A metered automatic lubrication system with low-level alarm provides these CNC lathes with oil to the turning center’s slide ways and X and Z axis ball screws. 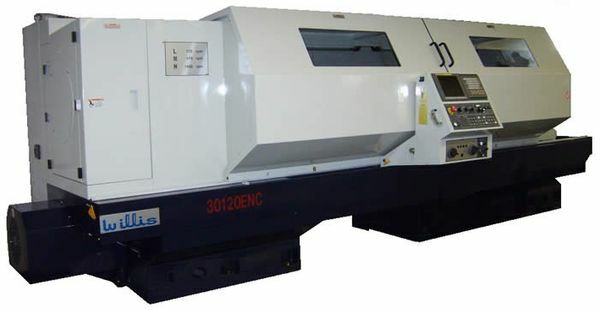 These CNC lathes include high precision screws mounted in precision bearings to ensure long life, superior cutting performance and great accuracy in these metalworking turning centers. 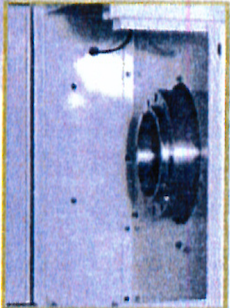 Willis CNC lathes are designed with a full-length rear splashguard and front moving chip guards with observation windows. This provides these CNC lathes with a clean, safe work area. The rear splashguard for Willis turning centers also has a removable panel for easy access and maintenance. 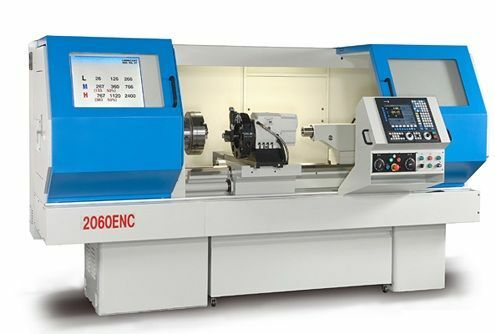 These metalworking lathes include X and Z axes that are fitted with a manual pulse generator (MPG) hand wheel which allows for easy manual movement of both axes. These CNC lathes' powerful inverter motor for the machine spindle is equipped with an all-digital Yaskawa inverter for peak performance. Willis Machinery’s CNC turning centers are equipped with a 3-speed (2-speed for 1550) headstock for maximum power and torque over the entire speed range. 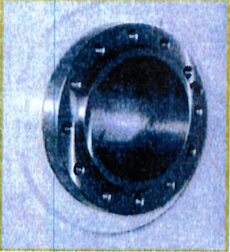 These CNC lathes include constant surface speed turning, threading, and tapping as standard features.